As the summer winds down, parents are getting ready for the new school year by shopping for new clothes and school supplies and meticulously planning their fall calendars to fit in all the school activities. 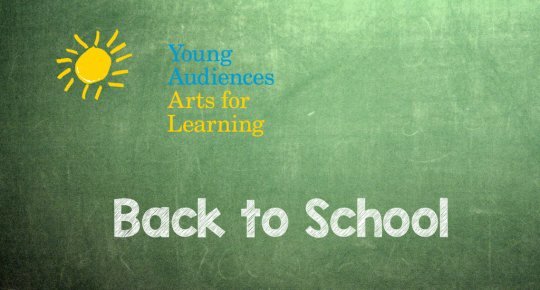 While their kids are busy soaking up their last few days of summertime freedom, the Young Audiences Arts for Learning (YA) network has been working through the summer. As our campaign to curb summer learning loss comes to a close, we have also been busy preparing for the upcoming school year by creating new and innovative programs. 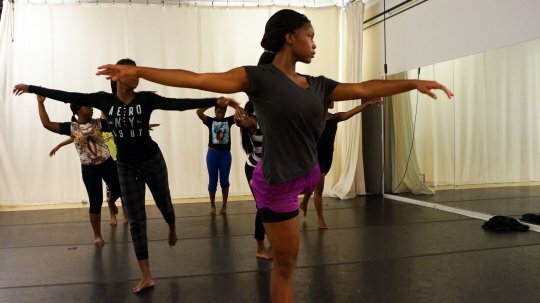 These arts integrated programs will have students engaged and looking forward to their classes. Below are selected highlights from around the YA network. One of the oldest art forms - storytelling - is used as a form of entertainment, to share cultural and social roles and norms, education, and teach moral values. Digital storytelling is a modern and innovative evolution of this traditional art form which has increased relevance with kids who are more connected with technology. The Center for Arts-Inspired Learning is partnering with twelve schools from the Cleveland Municipal School District (CMSD ) to offer students a digital storytelling residency in the fall of 2015. Every sixth, seventh and eighth grade class will receive 5 unique 60-minute sessions with a dedicated professional teaching artist. With training from the Center for Digital Storytelling, CAL teaching artists will work with youth to create a 2-3 minute digital story that weaves together their personal experience as it relates to a social issue. The residencies will conclude with a showcase featuring the students work and the entire student body, staff, parents and caregivers will be invited to attend. One film will be selected from each school as a representative submission for a district-wide film festival with the final film festival inviting CMSD administration, students, their families and the community. LinkNYC, a Young Audiences New York (YANY) program, provides real-world experiences to high school students of color from high poverty neighborhoods, in the fields of Digital Media, Music Production, and Visual Arts. Piloted last spring, the program included eight weeks of hands on skill building workshops, site visits to area firms, colleges and universities, including NBC, ABC and the School of Visual Art. The program focuses on the participants joining a community of industry and college experts, who help them build their network and create a clear pathway towards success in college and career. YANY is excited to announce the program's expansion to partner with the Teachers College Consortium for the upcoming school year. Since 1994, Acquiring Restitution Through Talent (A.R.T.T.) a program created with the Denver District Attorney’s Office, has helped juvenile offenders to earn money for restitution. The teens create and sell art in various mediums in order to provide restitution to victims of their crimes. Think 360 teaching artist Jo Fitsell is working with the A.R.T.T. program again, teaching Shibori dyeing and other fiber dyeing techniques. She will work with the participants and help them create beautiful silk scarves. The scarves and other handcrafted products are for sale at the Colorado Association for Victim Assistance conference in October in Colorado. Arts for Learning/Miami (A4L) is excited to begin an afterschool program at Beacon College Prep (an elementary charter school) and expand the program, ArtWorks Internship in the Arts, this fall! For the fifth year, the ArtWorks program offers paid and for-credit internships in visual and performing arts, including academic support and community service. Also, A4L will begin its first year of partnership with Beacon College Prep as the sole provider of on-site afterschool programming. A4L’s Afterschool Program at Beacon College Prep will provide literacy instruction, reading intervention and healthy snacks in addition to high-quality visual and performing arts classes. Art for Learning’s Fresh StART Indy engages young neighborhood residents in a school-based effort to improve their community through the arts. In a series of workshops, residencies, and family nights, students and their families identify what they can do to improve their neighborhood. Using various art forms, students explore positive and negative themes related to their community. Fresh StART Indy worked with Thomas D. Gregg Elementary and the neighbors in the surrounding community. Working with a poet, a storyteller, and a songwriter, students discussed ways to make their community a safer place to live. Working with a neighborhood artist, the students constructed a Cloud Observatory in an abandoned lot near the school. At the end of the residency, everyone in the community was invited to the observatory and were encouraged to lean back, look at the clouds, and think of the future. The unexpected result of this art project was the lasting relationships that were built with school neighbors and community members. On September 28, Young Audiences of Houston will present "The Essence of Mexico" a program by the local dance ensemble Mixteco Ballet Folklorico at Miller Outdoor Theatre to celebrate Houston's vibrant culture during Hispanic Heritage Month. 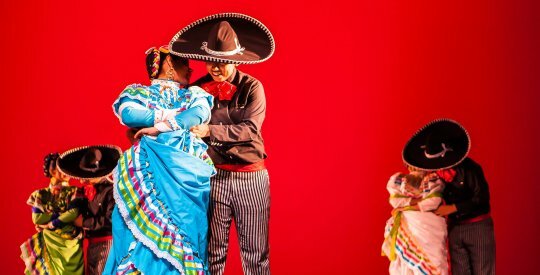 With gorgeous costumes and outstanding choreography, the Mixteco ensemble will take the audience on a journey south of the border to explore the rich history and influence of Mexican dance. This free performance is open to all 53 school districts in the greater Houston metropolitan area as part of Young Audiences of Houston's mission to increase access to the arts for all students. 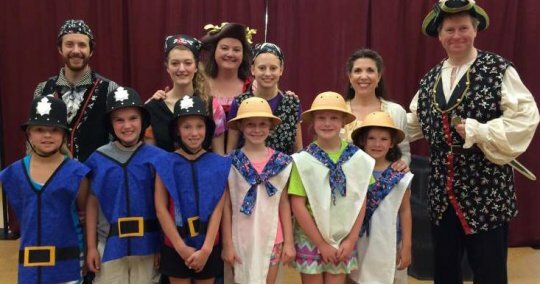 Young Audiences of Massachusetts is excited to bring the New England Gilbert & Sullivan Society's (NEGASS) unique Pirates of Penzance program to MA schools for a second year. In their abbreviated school-tailored performance of the classic operetta, five talented members of the troupe perform the principal characters, while 15 students from the host school take the role of the chorus. Student performers will rehearse with their music teachers and with NEGASS teaching artists before the performance. In addition to the performance, students will learn about the history surrounding Gilbert & Sullivan and will discuss the operetta's central themes. As part of CAPE's summer program at Waters Elementary school, students, families, teachers, teaching artists, and community members participated in creating a series of mosaic projects. All participants contributed to the ideas, designs, and installation of the mosaics, one of which now adorns the main entrance to the school. 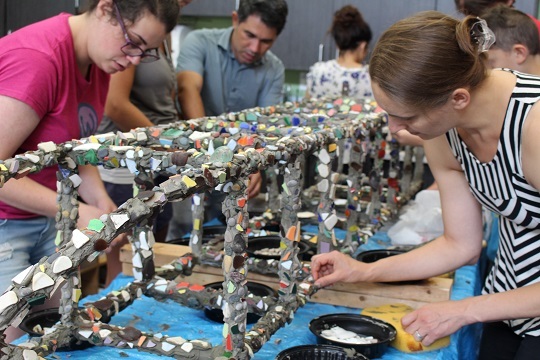 An additional two freestanding mosaics, created as an homage to the Watts towers located in LA, were created using traditional tiles as well as plates, glasses, mirrors and other materials contributed by community members. The project has received overwhelming community interest and support. The project was led by Teaching Artist Juan-Carlos Perez and several teachers from Waters, as well as over 60 community volunteers. A dedication ceremony will be held August 31st at 11am at Waters Elementary School.